Looking to decorate your bedroom? 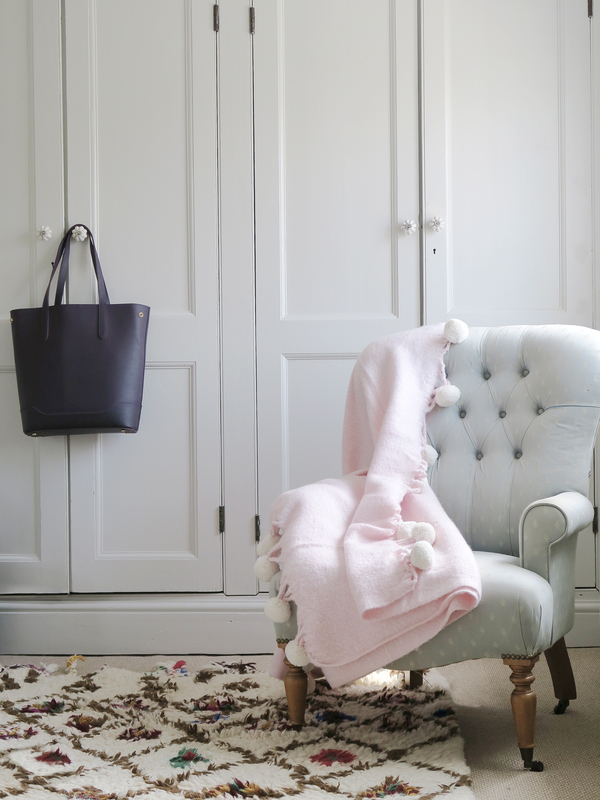 Caro from the Twinkle Diaries gives us all her tips and tricks for turning your room into a space that works for you. 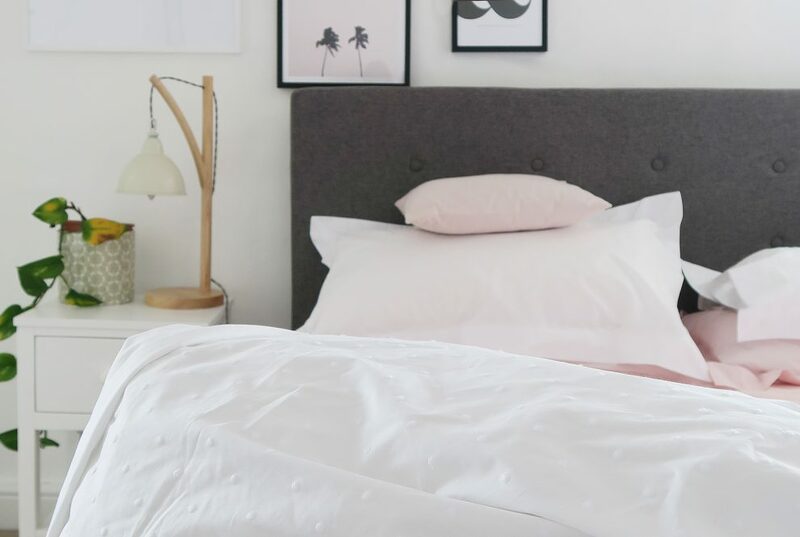 Keep reading to get her must-have tips on how to successfully decorate a bedroom using pink. As a lone woman in a house full of boys, there’s not a lot of pink in our home. Not that its inclusion has ever been vetoed but — naturally — it’s just not a colour that makes much of an appearance. Until now. We recently invested in a new bed — we swapped our 20-year-old wrought iron bed-frame for a smart, grey upholstered version — and I decided to redecorate our bedroom in readiness. The inky blue walls got a fresh coat of white paint and I decided to invest in some lovely new bedding, too. Pink was definitely not on the agenda at this point! 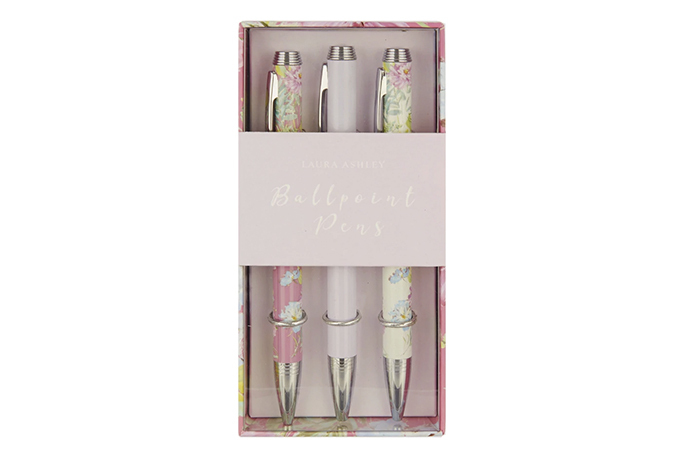 I’d found the most gorgeous, simple set from Laura Ashley; crisp white with embroidered polkadots. But after having so much colour in the bedroom, it suddenly felt very stark and unwelcoming. That’s when I realised that the bedlinen I’d chosen came in another colour: blush pink. 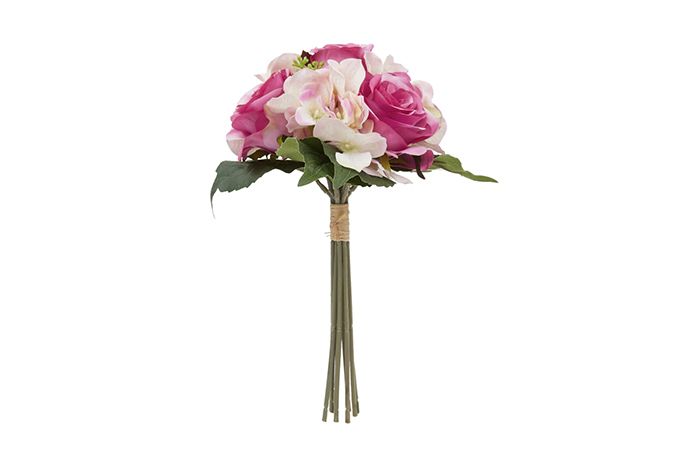 Blush pink is such a versatile shade; definitely not sickly sweet and when it’s paired with white and grey it takes on a luxe, modern feel. 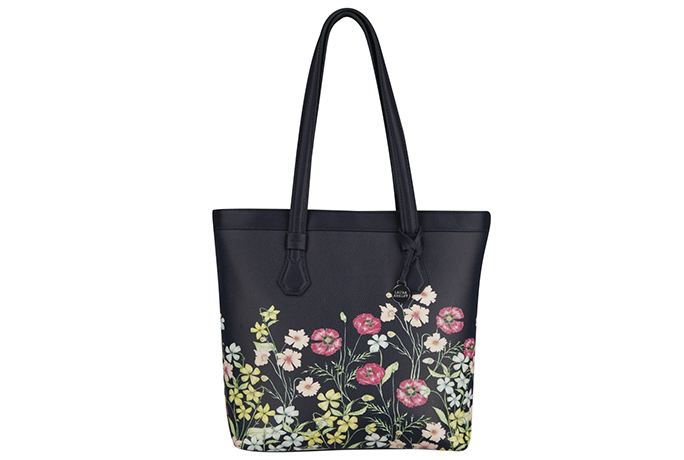 It’s also elevated an otherwise monochrome colour-scheme and given it warmth and definition. 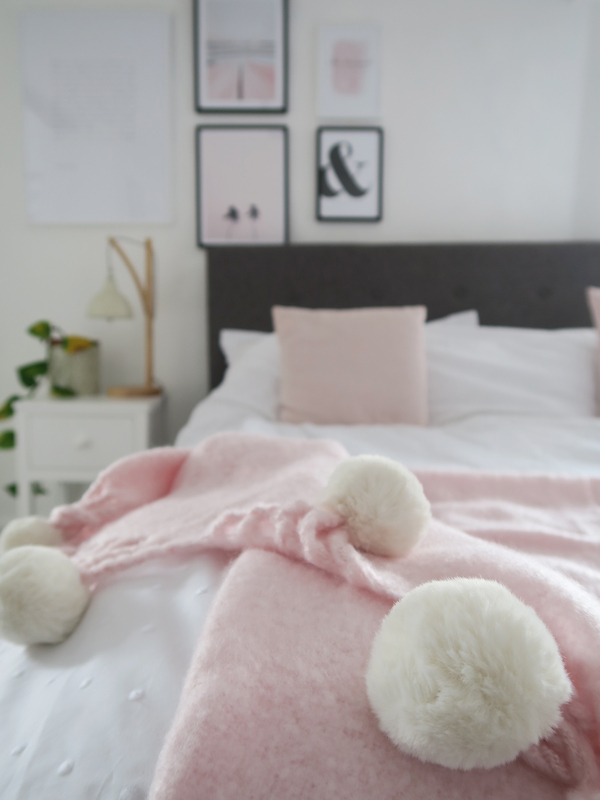 I didn’t want to go overboard with the blush bedroom accessories but Laura Ashley have the most lovely things in store at the moment and I spotted a gorgeous knitted blanket, edged with the softest faux fur pom poms. It goes so beautifully with the bedlinen but, also, it works equally well thrown over a chair. I invested in some lovely artwork to tie everything together; the addition of pink on the walls is so subtle but it’s made the world of difference to the look and feel of the room. I always think it’s amazing how you can totally alter the ambience of a space, with some minor changes. 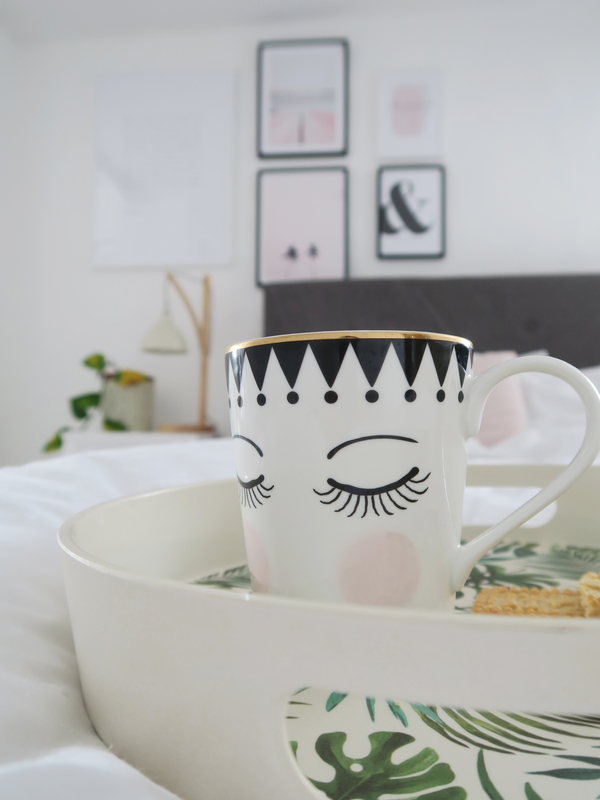 It makes me so happy to know that with a couple of new cushions and a few different pictures, my blush bedroom can be easily changed if I decide I want a new look. Amazingly, not one of the boys (either the man-shaped or the tiny variety) have commented about the addition of pink, other than to say how lovely the room looks. 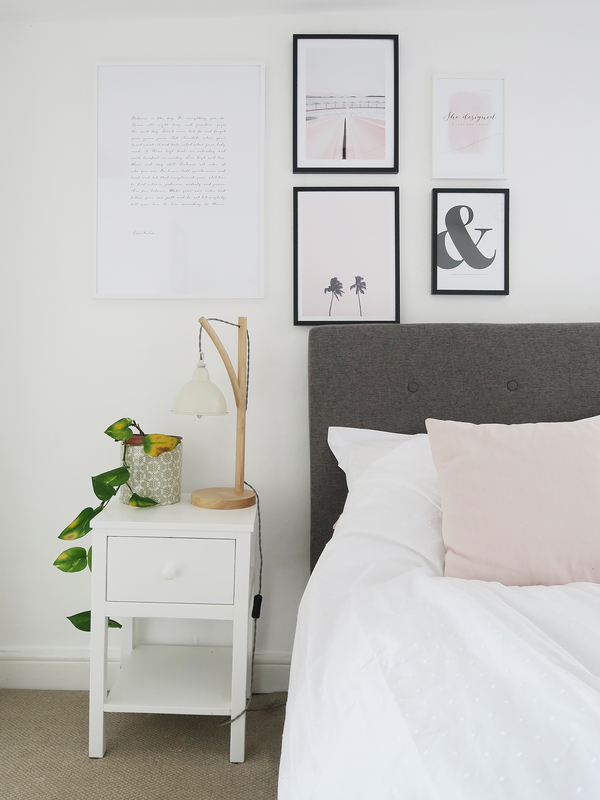 I daresay, if I’d suggested a blush pink and grey bedroom to Richard, he’d have definitely not been too keen — but the new bed and blush pink accessories have made our bedroom into such a haven. Getting out of bed in a morning is tricky at the best of times but I’m finding myself wanting to sneak away and read my book in the middle of the day.